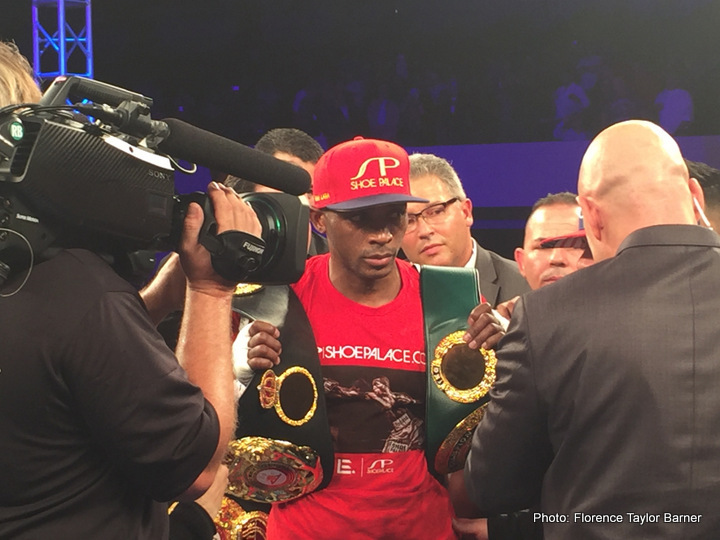 Friday, January 13, 2017, WBA Super Welterweight Champion Erislandy Lara (24-2-2, 14 KOs) retained his title by knocking out Yuri Foreman (34-3-0, 10 KOs) in the fourth round of a scheduled twelve-round bout at the Hialeah Park Casino in Hialeah, FL. The champion, Lara, is a Cuban-born fighter who resides in Houston, Texas. A Cuban expatriate, he has built an incredible career in professional boxing in the United States, earning him the handle “The American Dream.” Lara proudly wears this name across the waistband of his trunks. After losing to Saul “Canelo” Alvarez in a highly-contested split decision in 2014, Lara has won all of his last five bouts. Yuri Foreman, known as “The Fighting Rabbi,” is a Belarus-born fighter who resides in Brooklyn, New York. Foreman is a proud Jewish fighter who has attended rabbinical classes and wears a star of David on his trunks. As challenger, Foreman was introduced first. The cheers from the crowd and the waiving of the flag of Israel from dozens of audience members served as a reminder that there are a lot of Jewish boxing fans in South Florida. Next, the champion was announced. 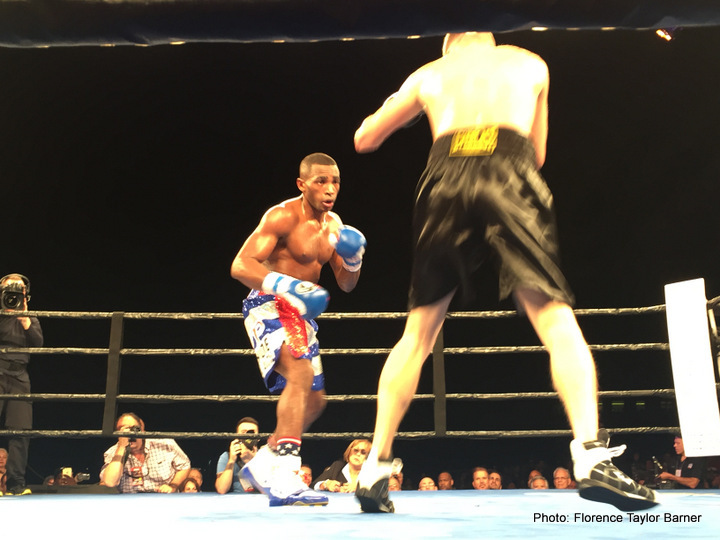 As he entered the ring, an explosion of claps, cheers, howls, and whistles served as a reminder that there are a lot of Cuban boxing fans in South Florida. Lara’s eyes maintained a laser-like focus on Foreman’s midsection through the early rounds as both fighters exchanged punches and felt for one another’s timing and reach. In round three, referee Samuel Burgos saw a knockdown where ringside writers and a visibly agitated Foreman saw a slip. However, that“one point for the knockdown” would prove inconsequential before the close of the following round. Indeed, at 1:47 of the fourth round, Lara landed a hard left uppercut to Foreman’s skull. The champion stood firm-footed over Foreman as the challenger fell. As his strong, proud opponent winced on the canvas, the Cuban warrior lifted his left arm and began to flex stoically to the admiration of his fans.KO 4.